The KK Bag Press is suitable for both wet and dry waste materials. Can be used in garage fore courts, retail outlets, offices and small hospitality establishments. The machine is top loading & has a split chamber for ease of bag removal. Other features include wheel mounted for quick and easy movement, high compaction force of 10:1 and it also has a low operating height. 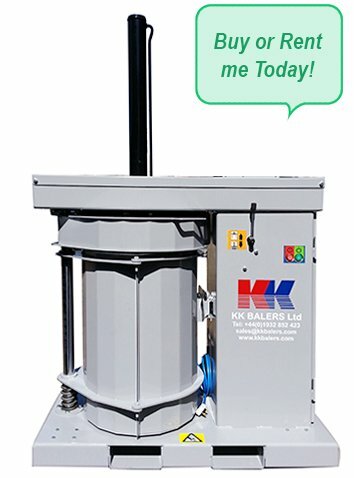 The KK Bag Press can be purchased or hired. Please contact us for further details.